The University of Florida’s College of Public Health and Health Professions celebrated a week of diversity with faculty, students and staff last week. Blair helped plan and lead Tuesday’s Student Diversity Day. Over 100 students attended the event where students could interact with their peers, write about what diversity means to them and enjoy a free breakfast and hot chocolate bar. “To see our mark being made is very heartwarming,” Blair said. 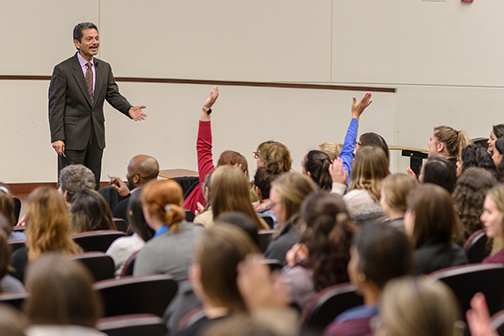 It kicked off with a faculty and staff social, followed by the student event, a panel discussion, poster presentations and a keynote by UF’s Chief Diversity Officer Antonio Farias. 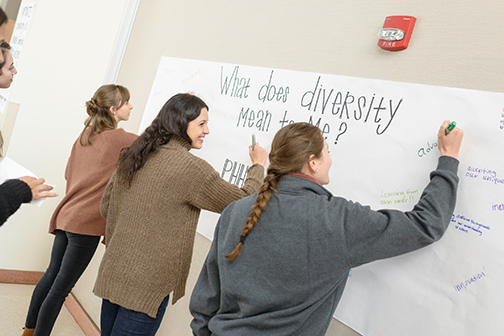 The College of Public Health and Health Professions has hosted a diversity event since 2014, however, this year the college’s Diversity and Inclusion Committee decided to expand the celebration from just a day to a weeklong event. Amy Blue, Ph.D., associate dean for education affairs, clinical professor in the department of environmental and global health and a member of the Diversity and Inclusion Committee, said the reason for the change was to allow students, faculty and staff more opportunities to participate and attend the events. Additionally, she said it was a chance to bring awareness to diversity and for the college to promote the value of inclusivity. Gerardo Altamirano, assistant dean and director of the UF Resource Center, was one of three speakers at the panel discussion. Photo by Julie Walter. 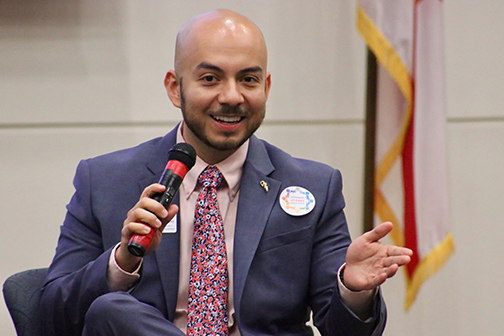 Gerarado Altamirano, assistant dean and director of the UF Resource Center, was one of three panelists who discussed the importance of diversity in the workplace at Wednesday’s panel discussion and Q & A. 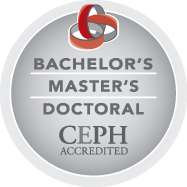 He spoke alongside Leslie Pendleton, Ph.D., senior director of the retention and success initiative at UF Student Affairs, and Denise Schentrup, D.N.P., A.P.R.N., associate dean for clinical affairs and clinical associate professor at the UF College of Nursing. “Diversity work is hard work, and if you think it is easy then you are doing it wrong,” Altamirano said in his presentation. He said that unfortunately diversity is often reduced to checking boxes on a page. One check for each race is not enough. It is essential to recognize and celebrate everyone’s differences. It will undoubtedly take a lot of work and self-reflection, but in the end, it is a necessity, Altamirano said. 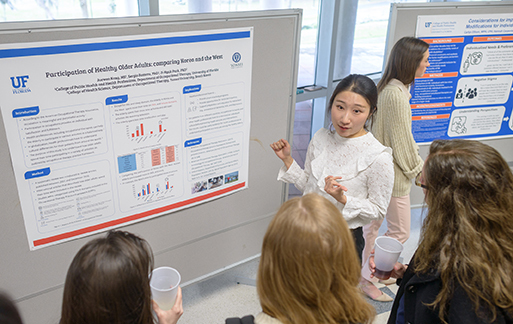 Occupational therapy student Jaewon Kang discusses her research during the poster presentations. Photo by Jesse S. Jones. The week ended with poster presentations featuring work by students, faculty and staff, and a keynote presentation by Antonio Farias. In his talk, Farias argued that the most innovative organizations also value diversity. He proposed that organizations seek flatter leadership structures — horizontal instead of top down — and give everyone “a seat at the table.” To do that, organizations need to make it safe for people to share by acknowledging that every individual is unique and by demonstrating dignity and respect, he said. “When people don’t feel safe contributing, the conversation ends,” Farias said. According to Blue, an estimated 445 people attended PHHP Diversity Week events. “It took a village to do the week and we had a great village to put it all together,” Blue said. To view pictures of PHHP Diversity Week, visit the college’s Facebook page. A special thank you to the members of the PHHP Diversity and Inclusion Committee, the Dean’s Ambassadors, Lauren Guidi and Kevin Jackson for their work making Diversity Week a success.